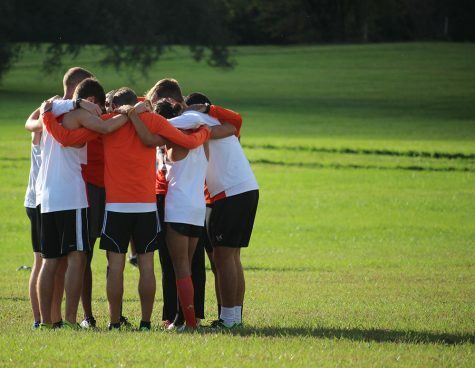 The men’s cross country team stepped to the top of the podium at the Heart of America Athletic Conference championship last November for the third time in four years. This was the first conference title in cross country or track and field after the death of their former coach Zach Kindler. 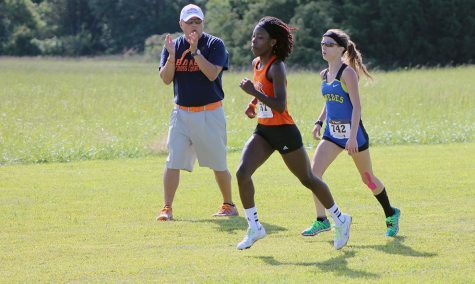 In the offseason, head coach Tim Byers was promoted to director of cross country and track and field. 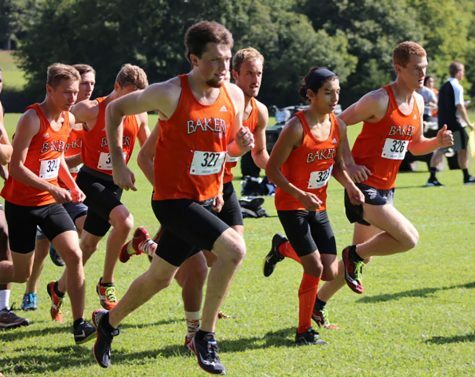 He begins his second season at Baker with a veteran group of runners. This same group, two years ago, was a young team that finished fourth at the Heart of America Athletic Conference championship. 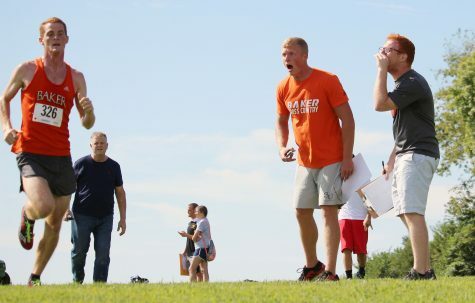 Now the veteran runners have a championship ring and plenty of confidence. “We should be in perfect position to repeat as conference champions if we continue to work hard and stay healthy,” junior Jamie Steury said. Steury, along with Andrew Dare, Andrew Emanuels, Corey Matteson and Carter Breithaupt, are the junior class for the men’s team. This will be their third season running together, and all have experienced success. Matteson finished a team-best sixth place at the Heart championships with Steury in eighth and Breithaupt in 22nd. Senior Gunnar Hays was strong down the stretch last season with a ninth-place finish at the Heart championship and a team-best performance at the Chile Pepper Festival in Fayetteville, Arkansas. 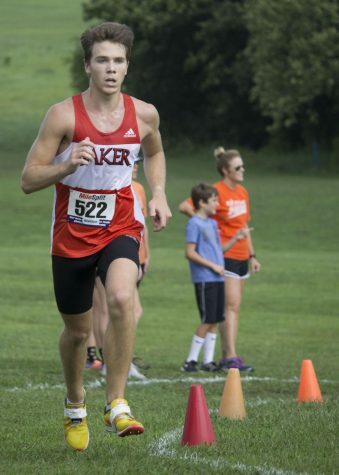 Sophomore Joe Linder will be another one of the top runners this season. 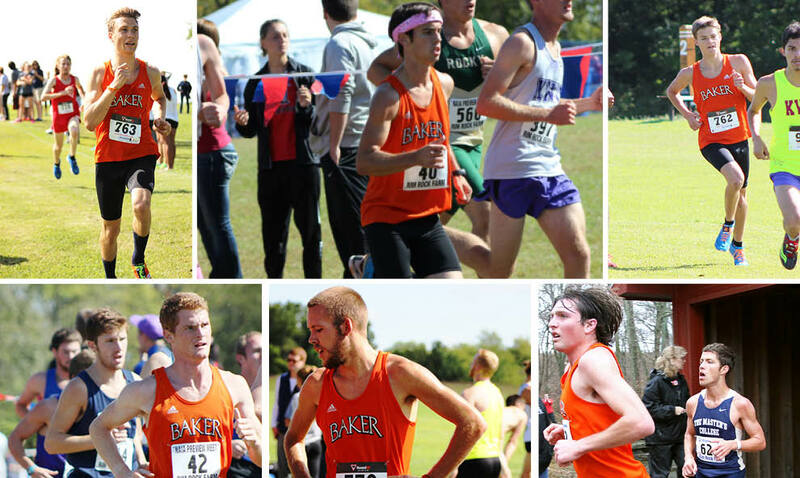 As a freshman Linder finished in or near the top five for Baker in almost every race. He also finished fourth in the 10,000 meter run at the Heart outdoor track and field championships. 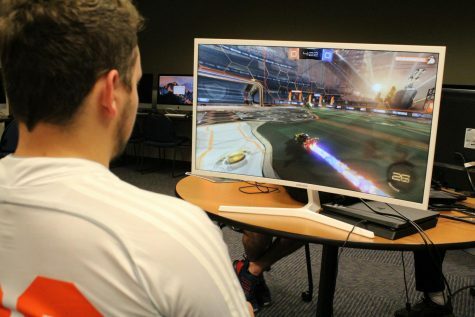 Being with Byers for a second season seems to have taken some of the stress away from the upcoming season. The team loses Vinny Tadokoro from last season as well as would-be sophomore Eddie Esquivel. 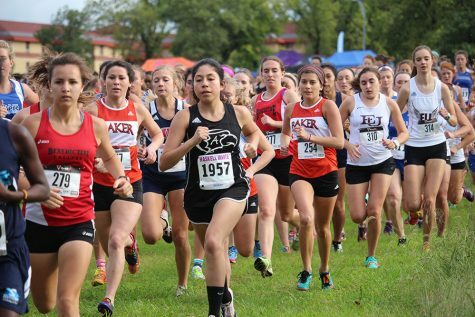 Esquivel was the conference’s runner of the week twice last season. Breithaupt will be another piece of the puzzle that the team will be without. The junior will miss the entire season due to injury. His abilities and experience will be missed but it may be the team that Breithaupt misses more. “The thing I’m going to miss the most about running is competing and the jokes that are said with each other at practice,” Breithaupt said. Even though Breithaupt won’t be able to compete, he still thinks his team will have another successful season. The top five runners for Baker will likely be Hays, Dare, Matteson, Linder and Steury. Many of them have personal goals going into this season as well as team goals. Dare would like to finish all-conference and break a time of 26:30 in the 8K, Hays would also like to finish all-conference and hit his personal record on time, and Steury wants to finish in the top five at the conference meet as well as setting a personal record for himself this season. So far this preseason, Steury has been impressed with the incoming freshman class and younger runners. “The newcomers are good, hard-working kids that are ready to follow the upperclassmen’s leadership and work hard,” Steury said.